The Mistake Room Los Angeles presents Histories of a Vanishing Present: A Prologue, the second chapter in a series of four exhibitions, featured as part of a long-term research initiative launched by the space. This multiyear project spotlights the experience of millennial generation artists from the Global South who, through a lens of postmemory, explore the media through which the past is transmitted across time and space. The exhibition investigates how traumatic histories play out in the practices of contemporary artists, often whose experience of these histories is indirect—inherited through the images, narratives and objects of preceding generations. Curated by Cesar Garcia and Kris Kuramitsu, A Prologue features video pieces from four artists situated in non-western cultures, chronicling both events, relations and practices not typically included in the art historical canon. In animating the enduring consequences of colonization, nationalism, ethnic wars, globalization and the legacy of racism, these artists engage in a complex meditation on their cultural heritage and identity politics, and embrace history as a site of reflection and reinvention. The exhibition is divided into two rooms, each containing a pair of video works. The artists Aleksandra Domanovic and Maria Taniguchi, featured in one room, scrutinize the material legacy of their cultural icons, exploring the eloquence of objects in narrating a complex political history of their native countries. Domanovic’s Turbo Sculpture explores a fascinating phenomenon in public monumental imagery in the wake of the dissolution of Yugoslavia. Following the wars of the 1990s, and subsequent national identity crises, local authorities erected monuments instead to western pop culture icons. The memorialization of figures like Rocky Balboa, Bruce Lee and even Batman were constructed to represent both paragons of justice as well as solidarity in an ethnically diverse and contentious region. The bridging of eastern and western cultures promised to mend ethnic divisions in this balkanized state around a shared ideal and neutral iconography. These public statues symbolize the local efforts to rewrite, indeed reject, their history and reinvent a cultural identity. Domanovic moreover underscores these anti-monuments as the transformation of an iconographic tradition in a culture transitioning towards capitalism. Offering an intriguing counterpoint, Taniguchi’s Untitled (Celestial Motors) is a filmic portrait of the jeepney—an iconic vehicle originally brought to the Philippines by the American military during World War II. Following western evacuation, these cars were recycled to become public transportation vehicles, now famous for their kitschy decoration and brightly colored paint jobs. This aesthetic act of reinvention by the Philippino people postwar, the painting over of a history of military occupation and colonization, however, has been wiped clean in Taniguchi’s film, featuring a chrome polished jeepney, scrubbed completely clean of all colorful paint (military green included). 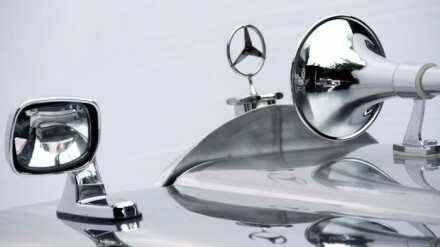 The mirror-like finish, fetishized in slow panning close-ups of its metallic body, reiterates the literal and figurative reflective quality of this postcolonial object—polished chrome that reflects both history and potential, a reclamation of both past and future. While these films focus on the objects that embody a geopolitical history, the works in the second room utilize the human body to explore the transmission and enactment of historical experience. Larry Achiampong and David Blandy’s film Finding Fanon Part Two, a nod to the revolutionary post-colonial philosopher, is an ominous meditation of the impact of technology, globalism and the effects of decolonization. 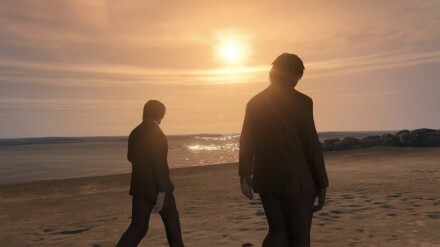 Achiampong and Blandy explore the post-human condition through a simulated environment, as characters in the computer game Grand Theft Auto 5. Inspired by Fanon’s lost plays, they traverse a hauntingly empty, though familiar, terrain while simultaneously exploring race politics, the impact of colonialism and modern technology in the age of globalization. Overlaid with both scripted text and personal testimony, narrating the artists’ own histories and those of generations before them, this construction of reality interrogates the role of the past in shaping our present. Accompanying this work is Kemang Wa Lehulere’s A Homeless Song (Sleep is for the Gifted), a choreographed retelling of the apartheid-era play “The Island” (by John Kani, Winston Ntshona and Athold Fugard), rehearsing the traumas of South African history through the movement of bodies. 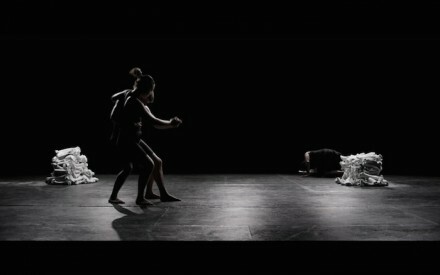 The performance features two pairs of dancers who traverse a stage in a series of repeated movements, their bodies intertwined to create new forms, each time carrying a pile of bones from side to side. This corporeal articulation of the cycle of bodies through time, and the passage of history through the human form, is overlaid by the specter of apartheid. Choreographed in collaboration with Khayelihle Dominique Gumede, Wa Lehulere’s dancers reinterpret and reanimate the powerful prison drama that offered symbolic protest to a racist politics still haunting the present. The exhibition runs through February 20th, with artists featured in the following chapter to be announced at its end. This entry was posted on Saturday, February 20th, 2016 at 12:00 am	and is filed under Art News, Featured Post, Show. You can follow any responses to this entry through the RSS 2.0 feed. You can leave a response, or trackback from your own site.